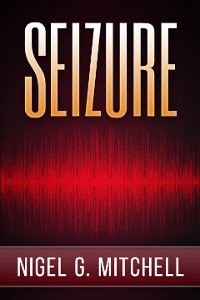 My next novel, Seizure, is going to be released on February 15, 2015. It's the second in what will end up being a trilogy of computer related thrillers, along with Dead Links. I'll have more information coming soon, but here's an overview. When Kent Reynolds' closest friend dies of a fatal seizure, he thinks it's just another tragedy in his life, like the death of his wife years earlier. But as more people die the same way, he uncovers a horrifying conspiracy. Someone has found a way to make computers trigger lethal seizures in anyone who uses them. And it's spreading around the world. Kent must race to find the truth behind the murders and stop them before the Internet becomes a weapon to wipe out Mankind. Oh, and speaking of Dead Links, it's on sale for only 99 cents until 1/23/2015. If you haven't read it, this would be a good time to get caught up.